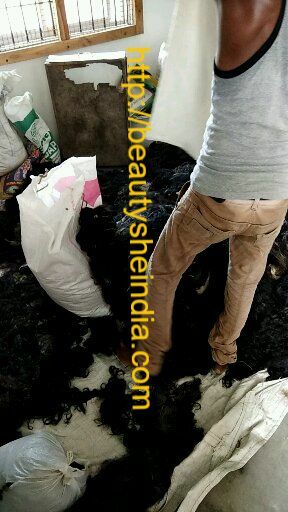 The collected Raw Indian Hair is then brought to our hair factory in india where it undergoes varies stages and comes out as a Premium Quality Weave Hair Extensions ready to be exported to all over globe. 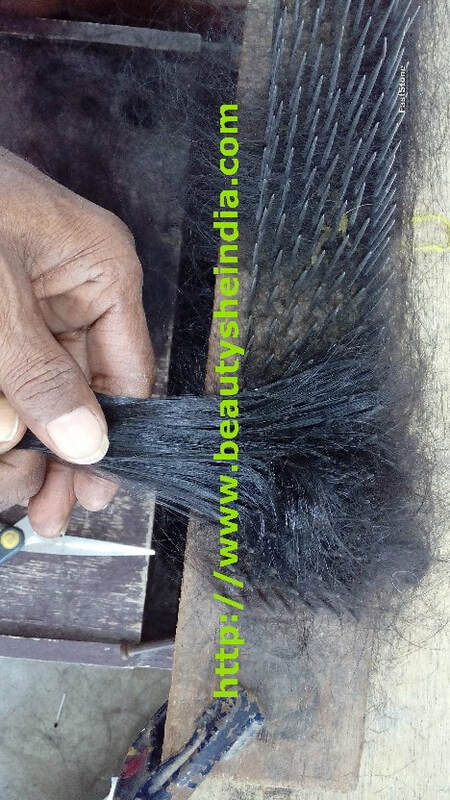 ​ It all starts with washing the raw indian hair using regular shampoo and dried naturally in sunlight. 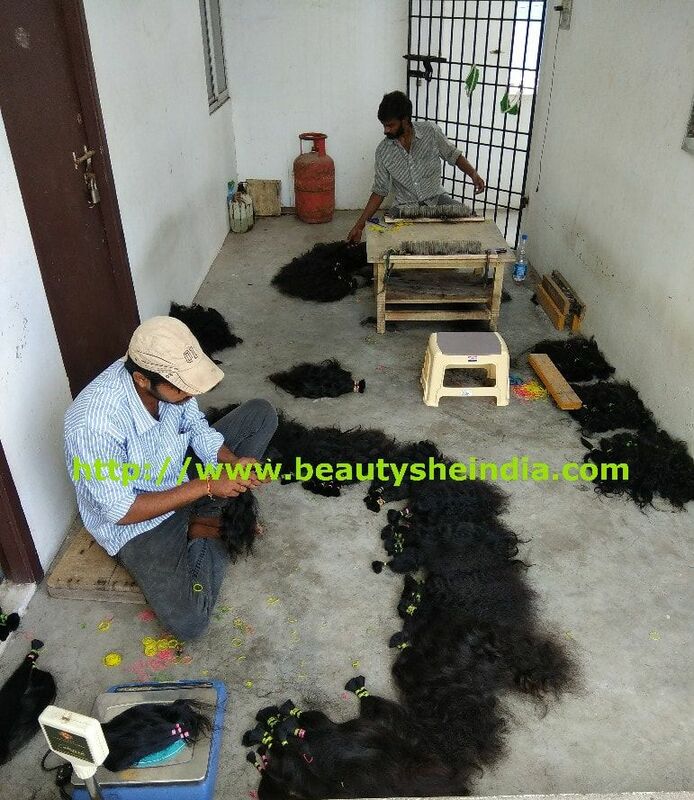 The dried hair is then hackled to remove the short hairs from the hair bundles. 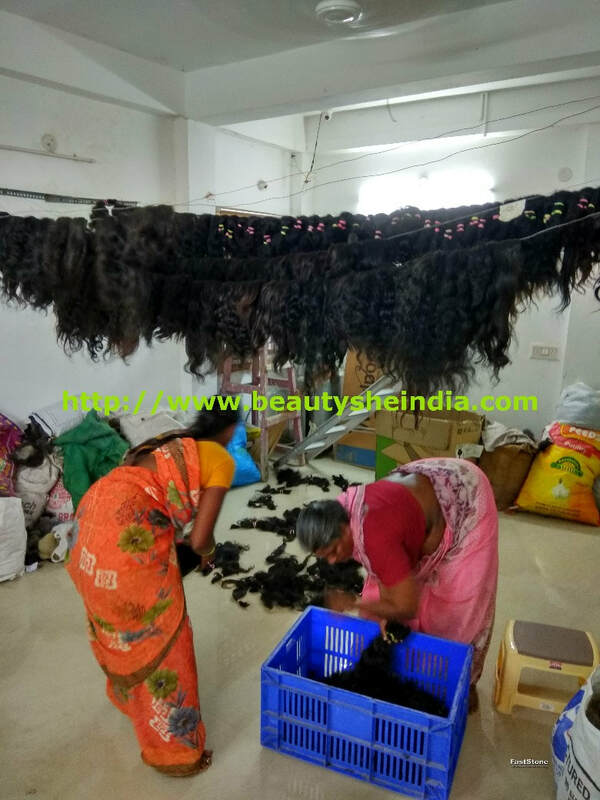 After Hackle the bundles are weighed for 100 grams per hair bundle which can be used to make braiding hair and lace closures, lace frontals and lace wigs. 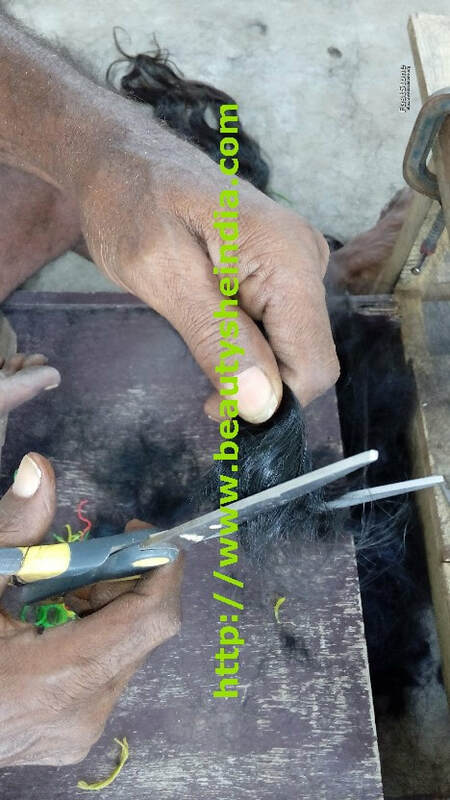 Same bundles are made into wefts which are used to sew in weave hair. 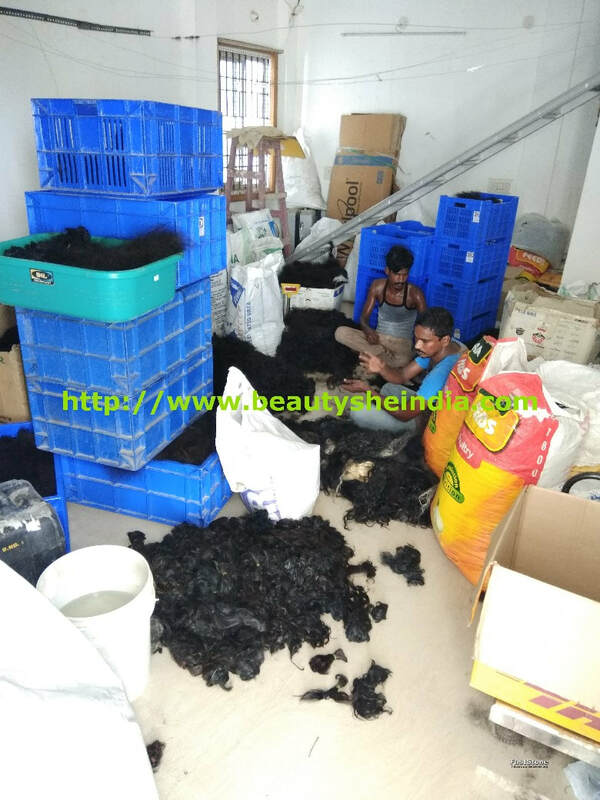 We will show you how we do manufacture our single donor hair extensions in house in our factory. 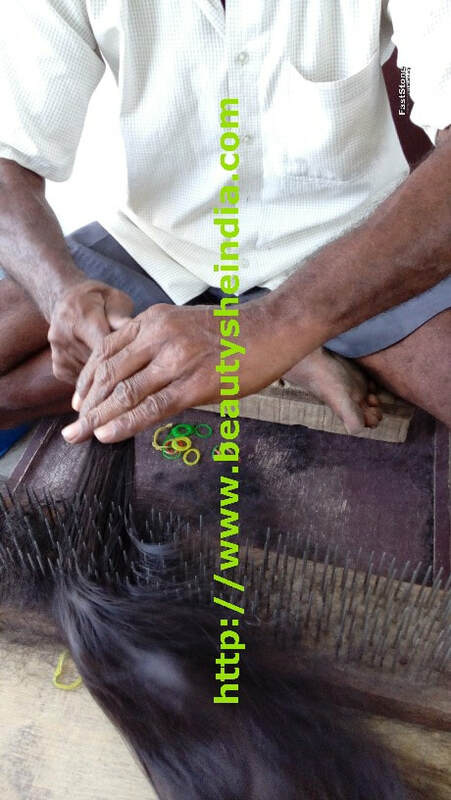 ​We Offer Professional Knotted Lace closures with natural hair . Our closures come in Straight, Wavy and Curly Textures. 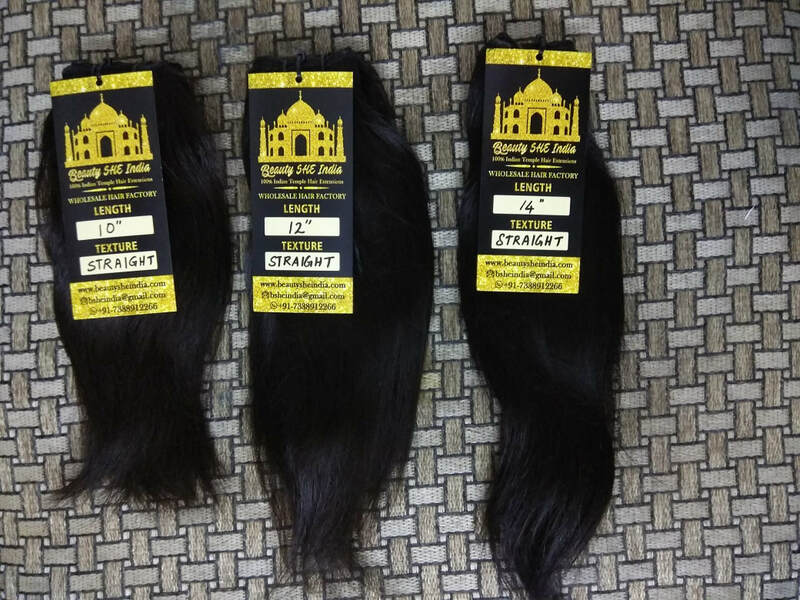 Usually our closures are available in 14 to 16 inches of hair. We do offer lace closures in 4x4 and 5x5 lace size. 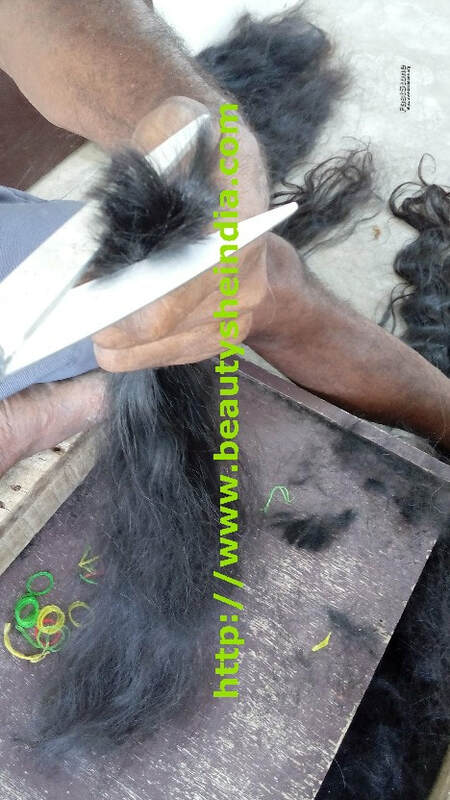 ​We Offer Professional Knotted Lace Frontals with natural hair . 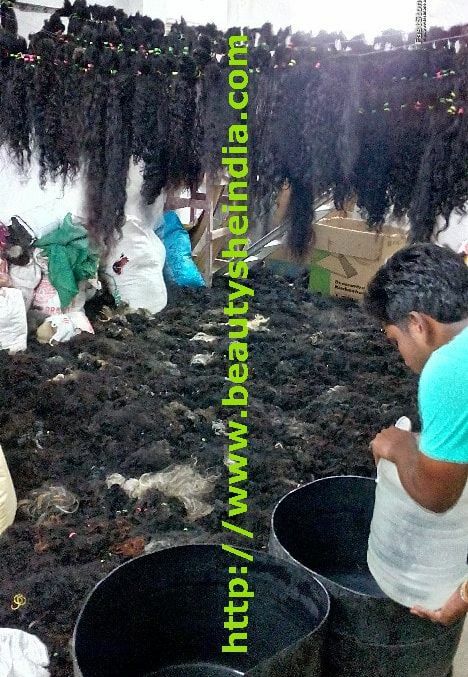 Our Frontals come in Straight, Wavy and Curly Textures. 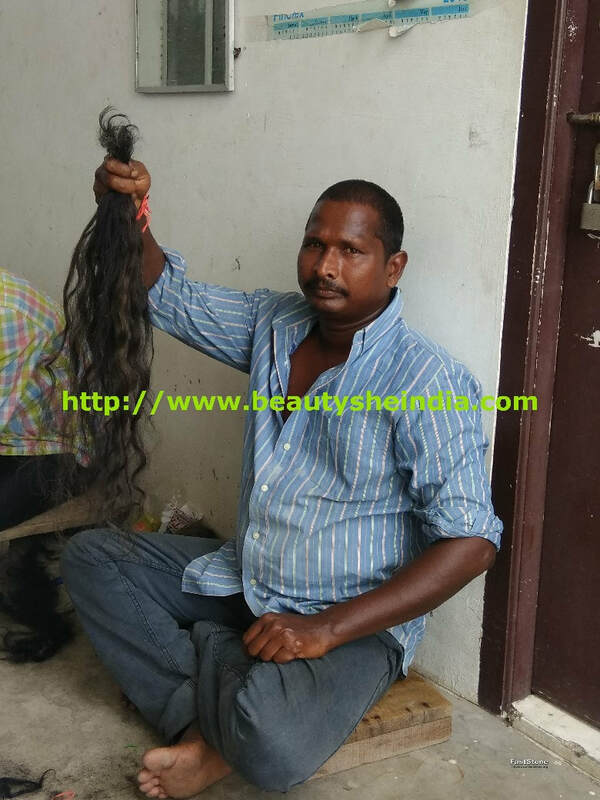 Usually our closures are available in 14 to 16 inches of hair. We do offer lace closures in 13x4 and 13x6 lace size. 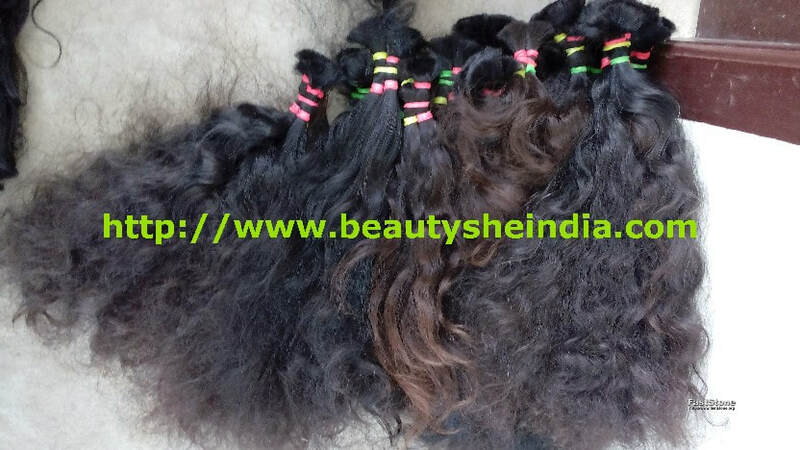 ​We Offer Professional Knotted Full Lace Wigs with natural hair . 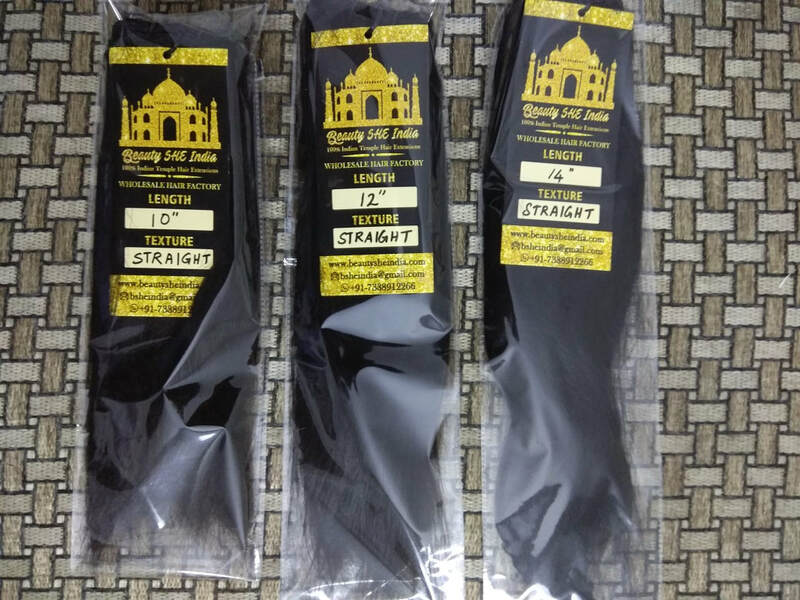 Our wigs come in Straight, Wavy and Curly Textures. 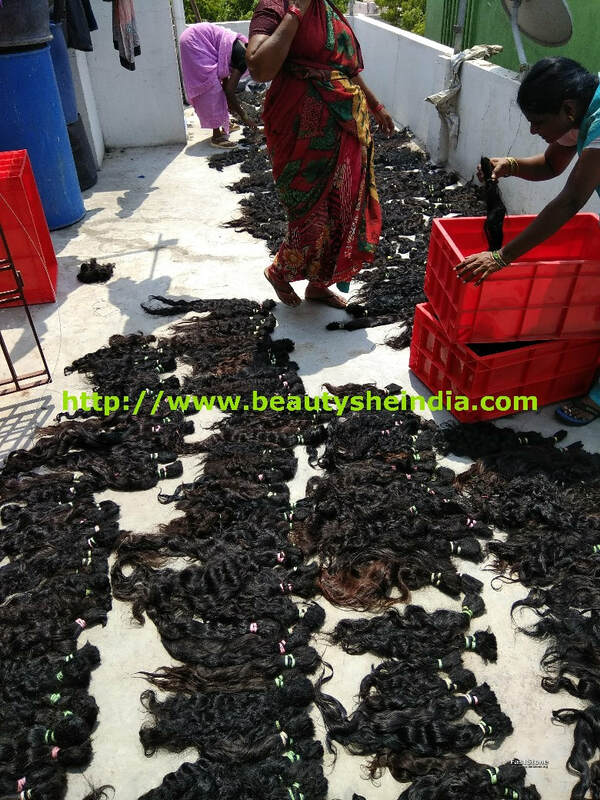 Usually our wigs are available in 130% density and comes in 14 to 22 inches of hair. 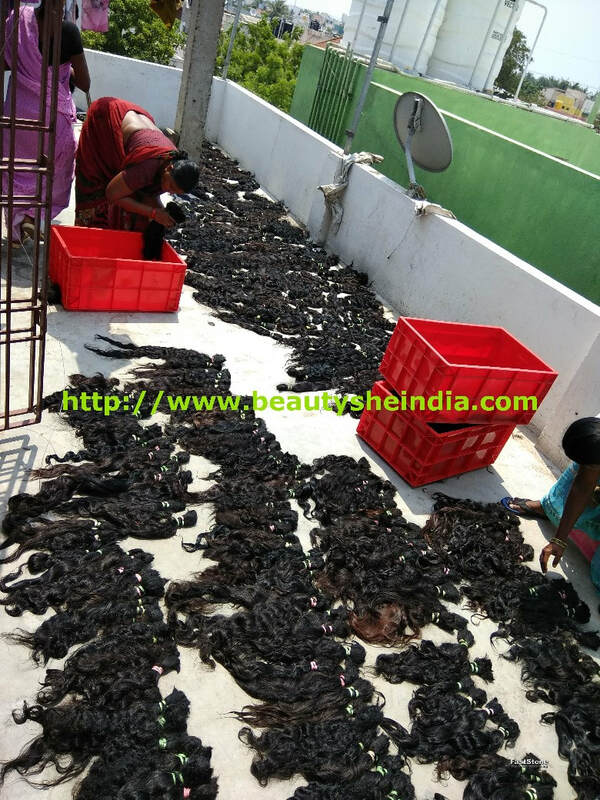 We offer wigs in wholesale and retail. 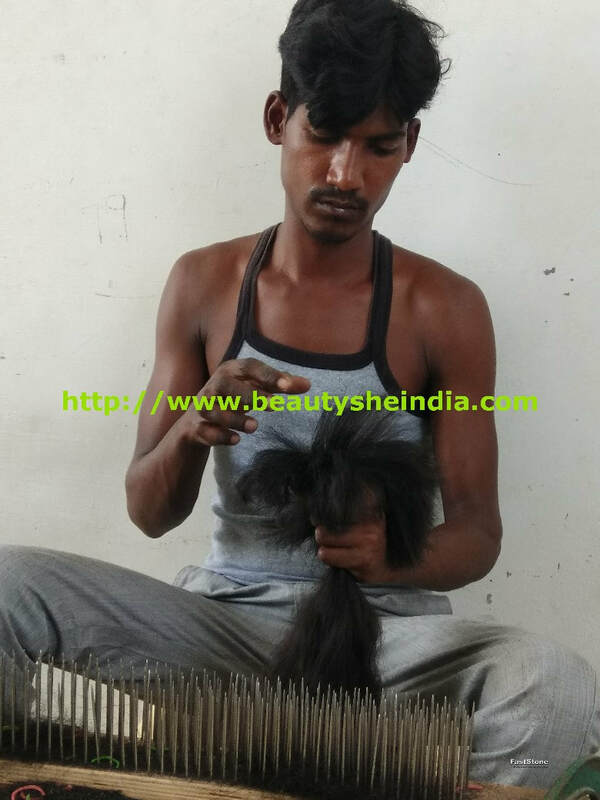 Beauty Spree Hair Extensions India © COPYRIGHT 2018. ALL RIGHTS RESERVED.